I have always been into fashion. I took a 2 year BTEC course in Fashion at college and from there my love has just grown. 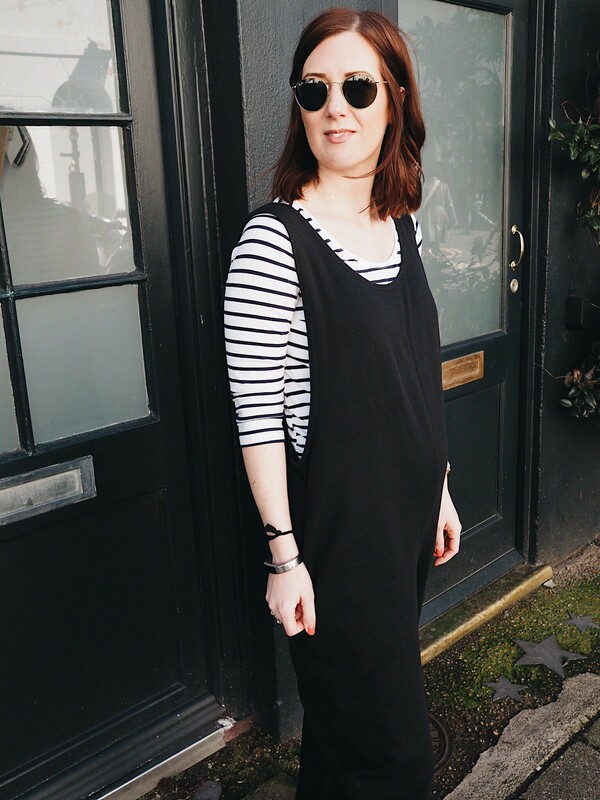 When I became pregnant I knew it was important to me to maintain my own style and not succumb to maternity clothing just because they are the only garments that are ‘designed to fit’. I had to purchase a couple of ‘maternity’ bottoms (jeans and shorts!) which I found to be so comfortable. But the x2 maternity dresses I bought in my 14 week excitement left me feeling frumpy and not myself at all. 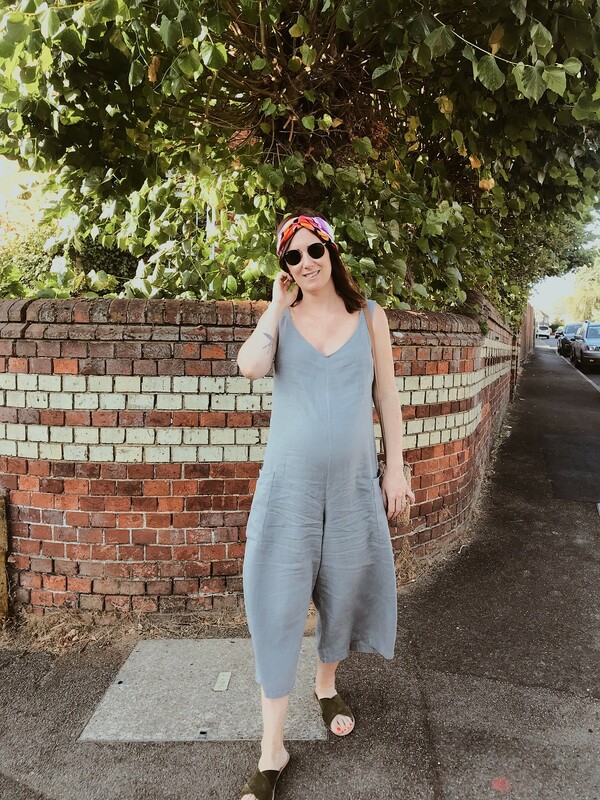 Throughout my pregnancy I have still bought normal sized clothing from my normal favourite high street retailers (Zara, ASOS and H&M being my favourites for non maternity clothing) and have been really impressed with how they still look good on my ever expanding body! I came across Beyond Nine via a post that Eimear Varian Barry had posted on Instagram. She was raving about a jumpsuit that she had lived in during the last few weeks of her last pregnancy and how comfortable it was. I made a purchase straight away and, like Eimear, I lived in it during the first couple of months of my pregnancy when the weather was cooler. “You shouldn’t have to compromise on style just because you’re pregnant. You shouldn’t have to spend money on clothes that’ll only last you nine months. And you should always have truly comfortable clothes in your wardrobe (whether pregnant or not!). Since discovering Beyond Nine I have treated myself to two of their jumpsuits and this playsuit which I have been living in this Summer in the UK heatwave… it has been my absolute saviour! I wore it to my baby shower and always get so many lovely compliments when I wear it. The jumpsuits and playsuits are definitely investment pieces (for me) but ones that I’m going to be getting a lot of wear out of even after I’ve had my baby! P.s. This isn’t an affiliate related blog post at all! I just absolutely love Beyond Nine and giving shout outs to independent brands!